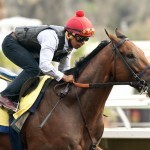 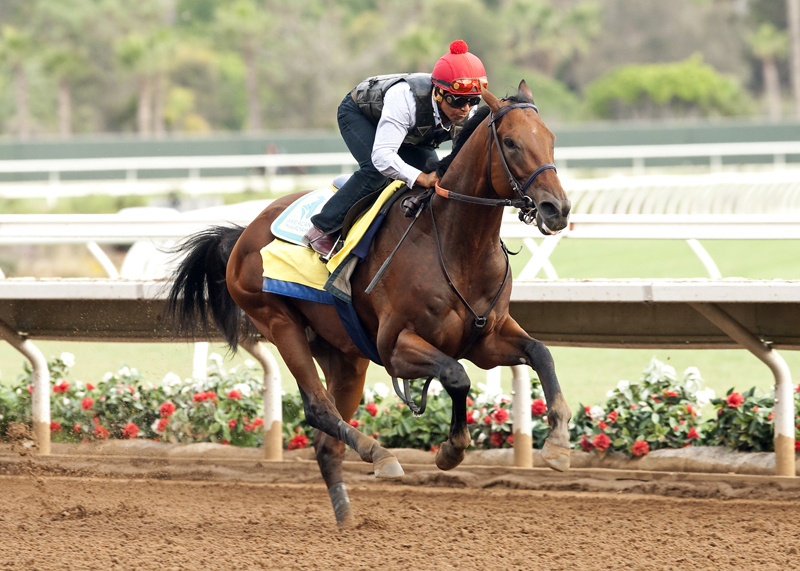 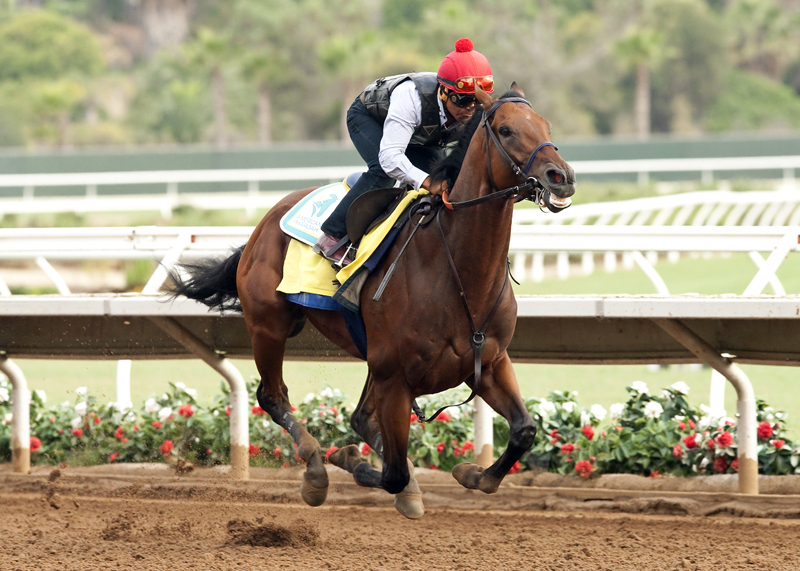 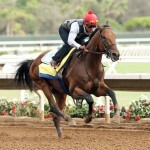 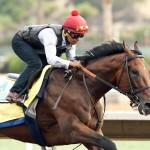 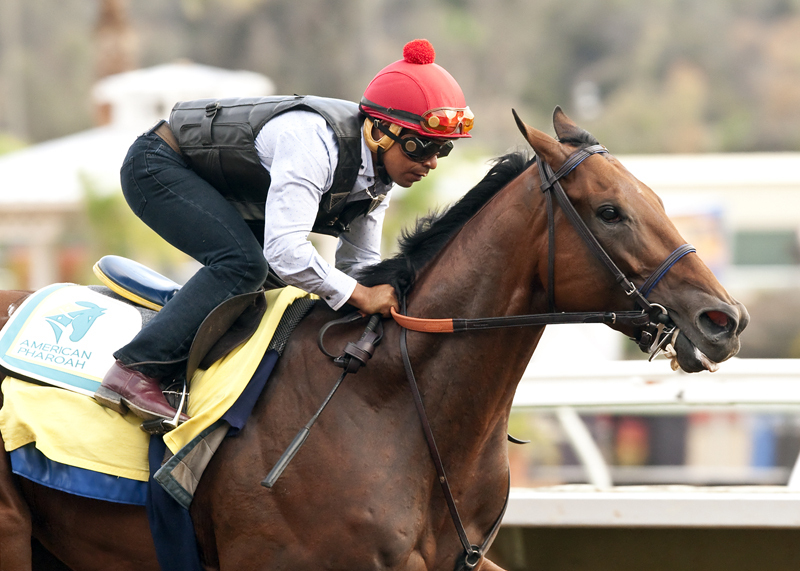 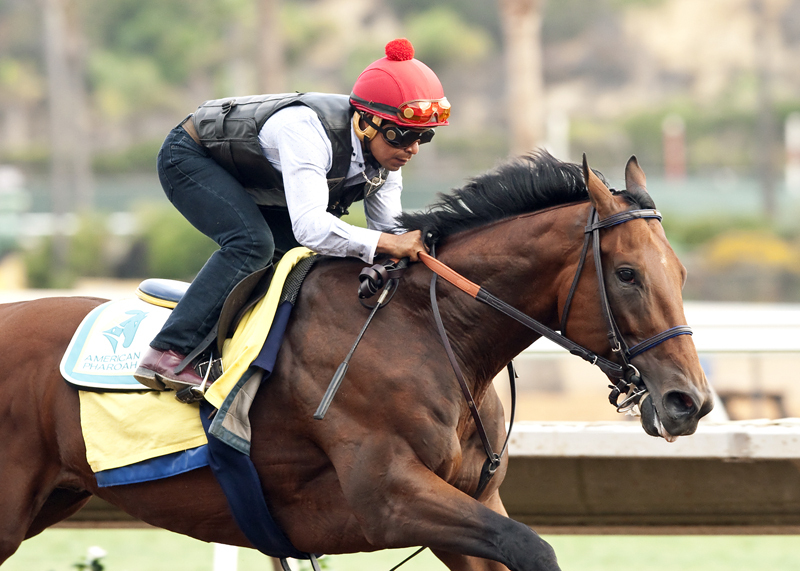 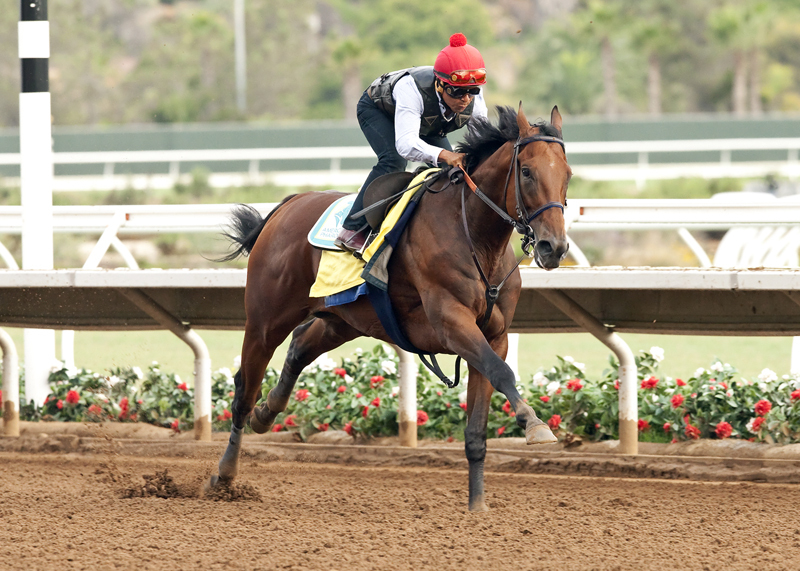 American Pharoah Works at Del Mar: Photos- Triple Crown winner American Pharoah (with Martin Garcia aboard) worked six furlongs in 1:11 flat Thursday morning, July 23 2015 at Del Mar Race Track in Del Mar, CA. 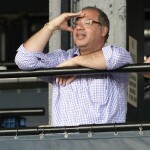 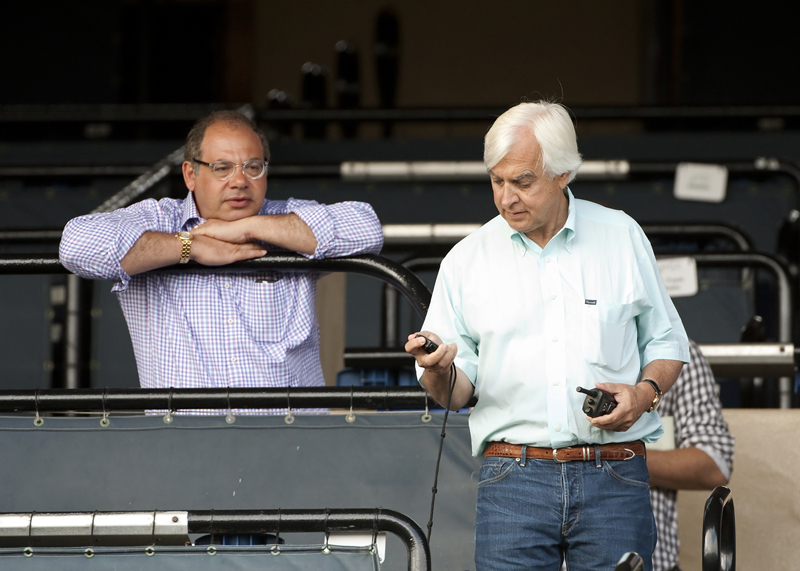 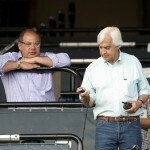 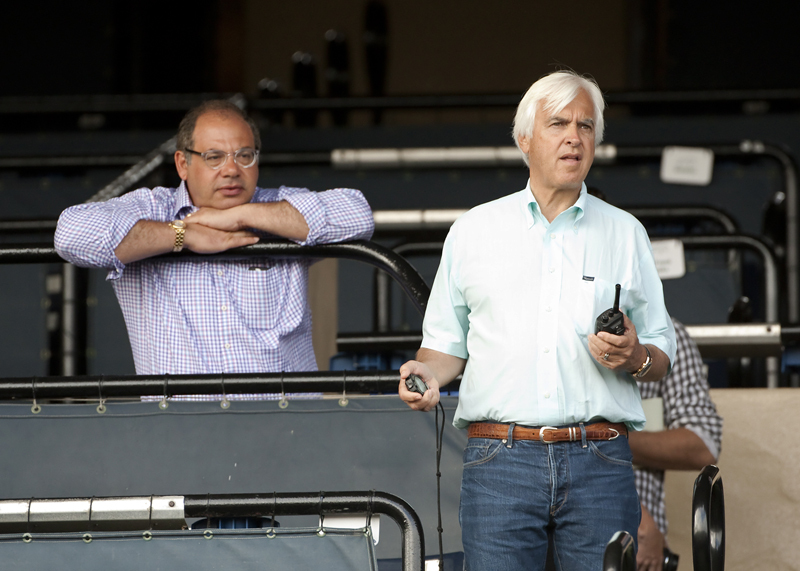 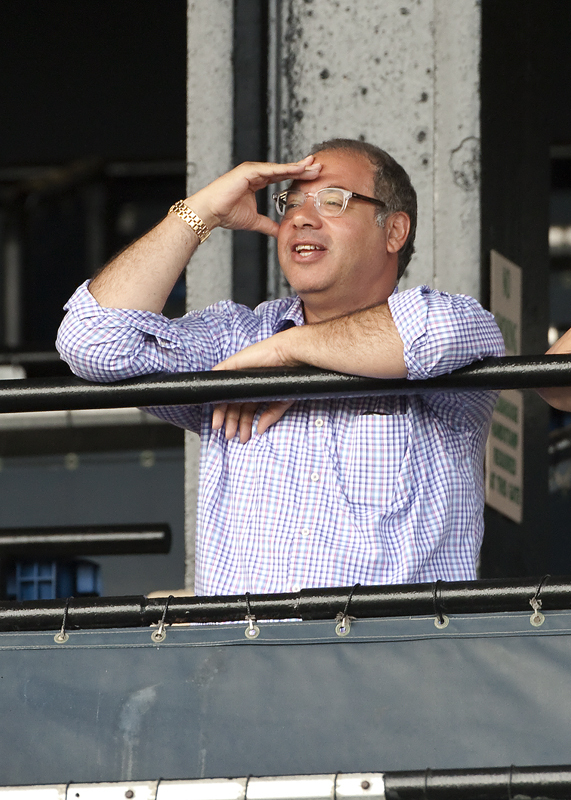 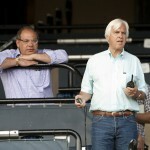 Owner Ahmed Zayat and trainer Bob Baffert watched from the grandstand as their superstar preps for his next race, a planned start in the $1,000,000 Haskell Invitational to be contested on August 2 at Monmouth Park in Oceanport NY. 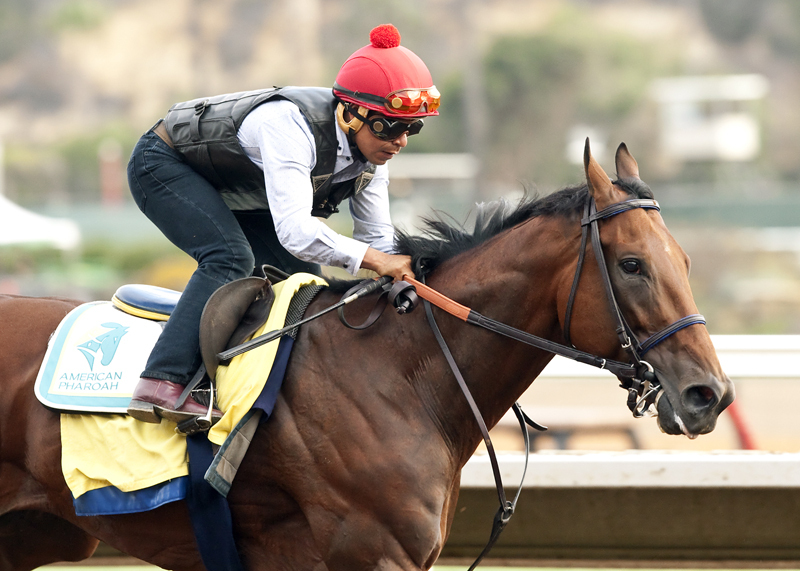 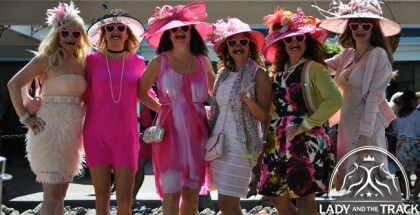 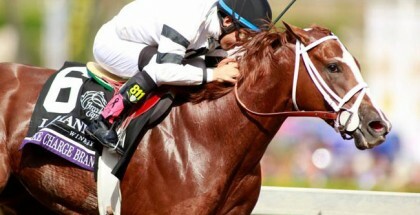 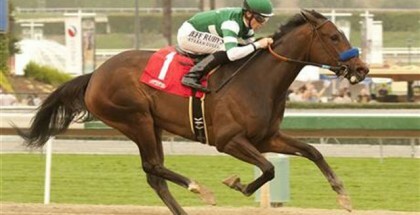 Watch American Pharoah win the Triple Crown.